What is life in Muswell Hill if you don’t go out and enjoy the beauty of the area? From trying out the different restaurants and pubs to taking a stroll in beautiful Alexandra park – you will never feel bored. Of course, you can hardly ever do that if you are cleaning. 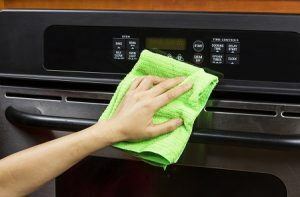 Naturally, addressing your domestic cleaning needs requires time and effort, which are all too precious resources. Thankfully, there is a way out – you can hire Top London Domestic Cleaners. Our company provides reliable and affordable domestic cleaning in Muswell Hill. 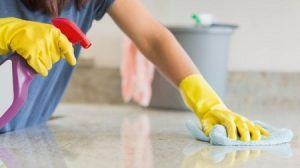 Our company offers domestic cleaning in Muswell Hill and the surrounding London areas. You can count on us to provide well-trained domestic cleaners for your home on a regular basis. They will clean your home in such a way as to surprise you pleasantly every time you come back home. That way you will have time for all that you wish to do. Forget about spending hours in backbreaking cleaning work on the weekend. Top London Domestic Cleaners are here to ensure that your cleaning tasks are addressed in a timely and professional manner. Gain access to our service by calling 020 3322 8143. We know that peace of mind is very important to our clients. That is why we have made sure that our cleaning company and cleaners are fully insured. In addition to that, we take special steps to ensure all our cleaners are fully vetted. You can be sure that our staff consists only of reliable professionals. The thing that our clients love most about our company is that both our cleaners and our customer support representatives are so friendly. You can always expect to be greeted warmly by them and provided with information about all you want. Just contact 020 3322 8143 and we will show you that is the case. Give us a call today and you will soon enough know you have made the right decision. The area of Muswell Hill has likely taken its name from the 12 century when a local stream was discovered. The ‘Mossy Well’ was highly-regarded for its healing properties. The area belongs to two London Boroughs: Haringey and Barnet. The suburb is entirely in the N10 postcode district. It is largely defined by Edwardian architecture, although there are some Victorian and 1920-1930s homes with beautiful gardens as well. By far the most notable aspect of Muswell Hill is Alexandra Park. It features 196 acres of beautiful parkland with breathtaking views of the capital. In addition to that, the park has a boating lake, rose garden and a pitch and putt course. That is also the home to Alexandra Palace, which is a notable venue that hosts concerts, events and conventions. Residents can choose from a wide range of restaurants that provide international cuisine. Top London Domestic Cleaners provides efficient and affordable domestic cleaning in Muswell Hill. Call us for a free quote on 020 3322 8143.